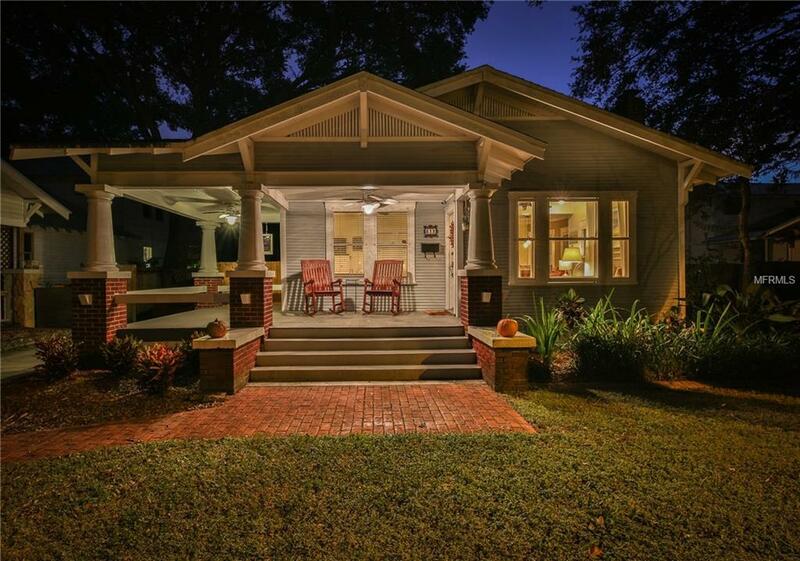 Charming Seminole Heights bungalow convenient to all of the local establishments that help make the community so desirable. The front porch is large and offers a great place to relax in rocking chairs, set out an outdoor dinner table, or hang a front porch swing. Enter this three bedroom, two bath home to find a large living/dining room combo, perfect for gathering with friends and family. This could be used as a formal space or as one of the family rooms. To the left is the first bedroom, which is connected to the second via an oversized jack and jill bathroom that includes a clawfoot tub and original styled hardware. The kitchen is in the center of the house, and features granite and stainless steel appliances. Beyond the kitchen is the interior laundry room and a second living space, which could be used as a family room/den, office, music, or playroom. The master is accessed from here and is large enough to comfortably accommodate a king bed and accessory furniture. There is a walk-in closet and access to the recently remodeled master bath, which includes a new granite-topped vanity and shower with granite and glass tiles. From the den and through french doors is a covered & screened porch that, with the fan on, could be used as an outdoor family room almost year round. The lot is oversized and has plenty of yard space in the back and side, and includes a 1 car block garage. The driveway will hold up to six cars in tandem. Natural gas water heater and generator are a bonus. Won't last! Additional Lease Restrictions Buyer To Confirm Any Future Rental Desires Work Within Applicable Local Laws.